While Donald Trump’s bid to build a wall along the Mexican border has upset some, at least he has left a lighter mark on Israel’s equivalent. 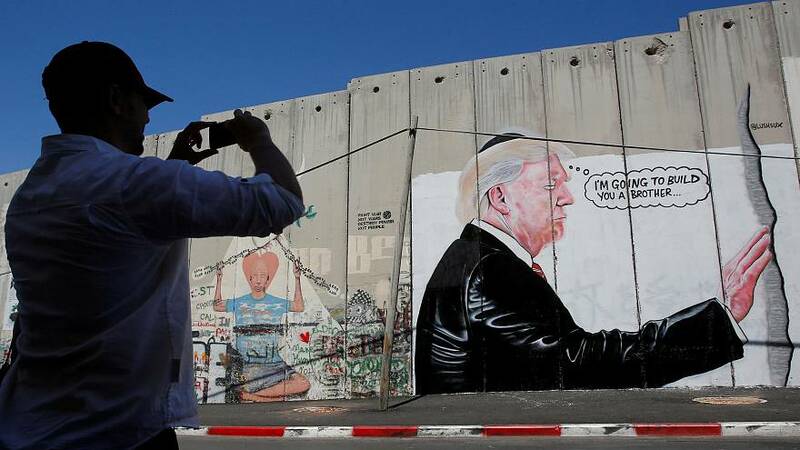 Giant spray-painted images of the US president have appeared on concrete barricades erected by Israel around parts of Bethlehem, providing comic relief for Palestinians. “I’m going to build you a brother,” reads one, a nod to Trump’s campaign promise to construct a wall on the US-Mexican frontier. In another, he hugs an Israeli army watch-tower, with heart-shaped emojis added alongside paint splashes and soot stains left by Palestinian demonstrations.